Albuquerque, NM – The Sacramento River Cats (53-62) came into Saturday night’s contest against the Albuquerque Isotopes (49-64) winners of six straight games and an undefeated record in the month of August. In their 9-2 loss tonight however, the River Cats weren’t able to continue their hot hitting while their pitching let the game slip away late. Right-hander Clayton Blackburn was on the bump for Sacramento making his 19th start of the season and fourth against Albuquerque. Blackburn has struggled on the road this year to the tune of a 6.12 ERA away from Raley Field but pitched well early in this one. Through the first six innings, the 23-year-old allowed two runs on six hits while leaving the Isotopes 2-for-11 with runners in scoring position. Blackburn hit a skid in his seventh and final inning, however, allowing a leadoff double to start the trouble. A sacrifice bunt and single gave the ‘Topes a 3-2 lead, and things snowballed from there. One out later Albuquerque’s best hitter Jordan Patterson stepped to the dish with one on and two out. The clean-up hitter blasted a two-run home run off the righty, extending the lead to 5-2. Of the five earned runs by Blackburn tonight, four came with two outs. He finished the night facing a season-high 32 batters, and tied his season-high with eight strikeouts. The game would get away from the River Cats late, as left-hander Steven Okert was roughed up for four runs on five hits during his eighth inning appearance. The offensive highlight came courtesy of third baseman Grant Green tonight, who hit his seventh home run for Sacramento in the fourth inning, a solo-shot which at the time gave the River Cats a 2-1 lead. That would be all the scoring, however, as over their next five innings Sacramento scattered just four hits. Centerfielder Austin Slater, right fielder Chris Denorfia and Green all registered two-hit games and catcher Tony Sanchez tallied in his first RBI with the club on a sacrifice fly. Tonight’s two runs were the fewest in a game so far this month, a month in which the River Cats lead the Pacific Coast League in batting average (.344) and home runs (9). The offensive couldn’t emulate the success of their 5-0 record this month, finishing the game tonight 0-for-7 with runners in scoring position and leaving nine men on base. Sacramento will hit the road for an early flight tomorrow morning to Tacoma. Right-hander Chris Stratton (8-5, 4.81) will take the hill for the River Cats in the opener and is 1-0 with a 7.20 ERA in two starts against the Rainiers this season. Tacoma will send righty Zach Lee (0-4, 5.74) to the mound, who has a 6.00 ERA against Sacramento in two starts. First pitch is set for 6:05 p.m. (PT) and can be heard live online at rivercats.com. 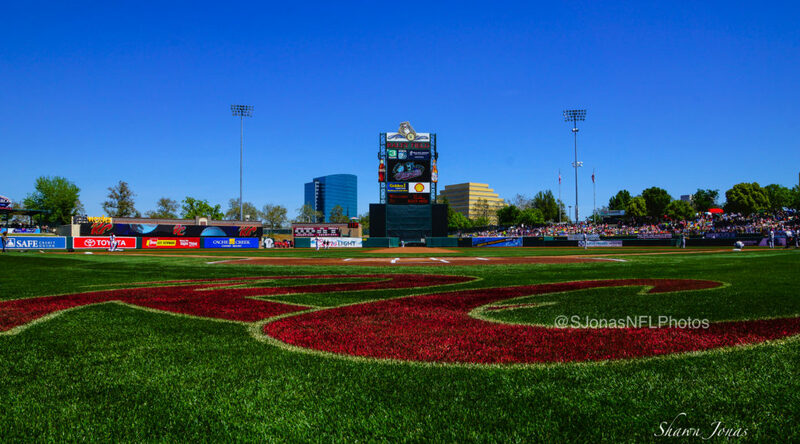 WEST SACRAMENTO, Calif. – The Sacramento River Cats squandered another excellent start by Chris Stratton as they dropped their series finale with Salt Lake 7-1. The right-hander went eight strong innings for the second start in a row but remains winless despite owning an outstanding 1.53 ERA. The River Cats and Bees took a 1-1 tie into the ninth inning before Salt Lake exploded for 6 runs on 5 hits and an error. Former Giants prospect Gary Brown delivered the first blow, a two-run single to center with one out in the inning. They added two more on a double by Kaleb Cowert and another pair on a two-run home run off the bat of Grant Green. Cody Hall, who entered the game in the ninth with a 2.97 ERA, recorded just one out and was responsible for five of the six runs. Mac Williamson’s error in the ninth was the first committed by a River Cat in the series. Sacramento’s defense had gone 35 innings without a miscue and made a number of nice plays in tonight’s game, including a fantastic diving play up the middle by shortstop Kelby Tomlinson. Chris Stratton was excellent for the River Cats once again, throwing eight innings of one run ball. He scattered 5 hits and 2 walks while striking out 4 in the outing and lowered his Triple-A ERA to a sparkling 1.53. Despite allowing just 6 earned runs in 35.1 innings since joining the River Cats, Stratton is still looking for his first Triple-A win. This was Stratton’s second straight start to go eight innings. He threw eight shutout against the 51s in Las Vegas in his last start, but took a no decision as Sacramento fell 4-3 in extra frames. On the offensive side of the ball, newcomer Xavier Avery provided a fresh look at the top of the lineup, going 2-for-4 with a double and an RBI. His fifth-inning single drove in Darren Ford for the River Cats’ only run. The 25-year-old outfielder hit .378 in his last 10 games with Triple-A Toledo (Detroit Tigers), recording 5 runs, 14 hits, 1 home run, 5 RBIs, 6 walks, and 2 stolen bases before opting out with the Tigers and joining the Giants organization. 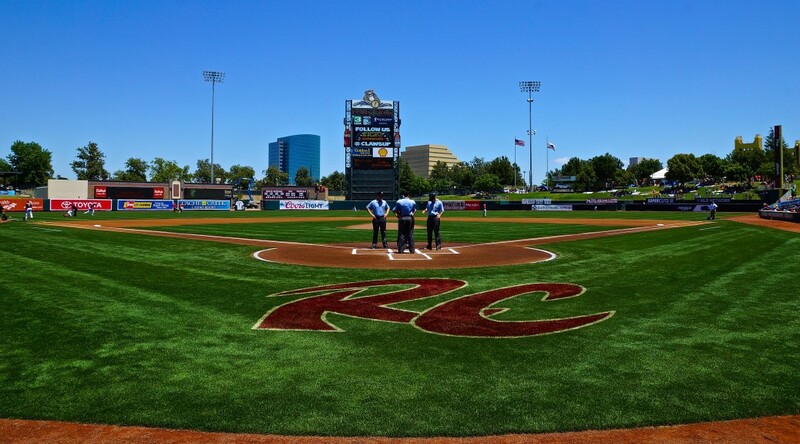 The River Cats head to Reno next, where they’ll take on the Aces in a four-game set. Clayton Blackburn (2-3, 4.22) will get things started for the River Cats tomorrow night as Gabriel Arias (4-1, 3.61) takes the mound for the Aces. The game is scheduled for a 6:35 p.m. first pitch and cane be heard live online at rivercats.com and on ESPN 1320.